Ambrose Bierce's most famous story, An Occurrence at Owl Creek Bridge (1890) is a masterfully crafted story that everyone should read. We hope that our study guide is particularly useful for teachers and students. Peyton Farquhar - First introduced to the reader as "A Man." 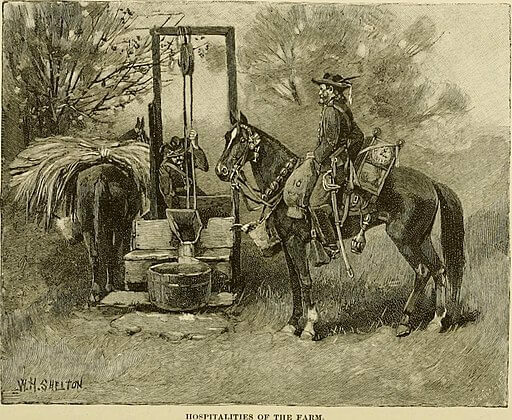 Bierce takes his time describing Farquhar who is to be hanged from a bridge, unfolding clues slowly about Farquhar's identity and status, immediately providing an engaging "hook" to draw in the reader. Gradually, we learn that he's not a soldier and he's being hanged for crimes against the Union. Later, he is described as a 35 years old civilian, a Southern planter with good looks, lacking the look of a "vulgar assassin." Union soldiers - The captain, first lieutenant, and sentinels are charged with executing Farquhar on the Owl Creek Bridge. The rest of the company is totally silent, respecting the rules for observing impending death. 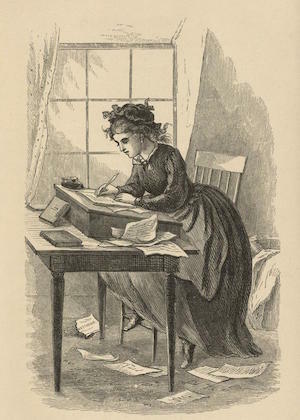 Farquhar's wife - Though never appearing in the story, she represents the safety and comfort of home, which Farquhar chose to jeopardize when he attempted to sabotage the Union's advances by burning the bridge. At the end of the story, Farquhar has a vision of reuniting with her, as part of his "white light" virtual escape. Bierce may also intend to have her represent Heaven or spiritual resilience. Union Scout posing as Confederate - The spy disguised as a Confederate soldier who informed Farquhar about the Union's plan to advance at the Owl Creek Bridge, and planted the idea that Farquhar burn it down to stop them. The story is divided into three sections. In the first section, we learn that a man is about to be hanged by a Union captain in the middle of a bridge over raging water in Northern Alabama, but he doesn't look like a "vulgar assassin." We find out the man is Peyton Farquhar, a well-off Southern Planter who may have been a captain, or at least sympathetic to the Confederacy. Just as the soldiers step aside to commence his hanging and Farquhar can only hear the sound of his watch ticking, we move to the second section, in which we get Farquhar's back-story. Farquhar asked a soldier who appeared to be from the Confederate Army about news from the front, and learned that the Northern forces were repairing the railroads and nearing Owl Creek bridge to advance their forces. 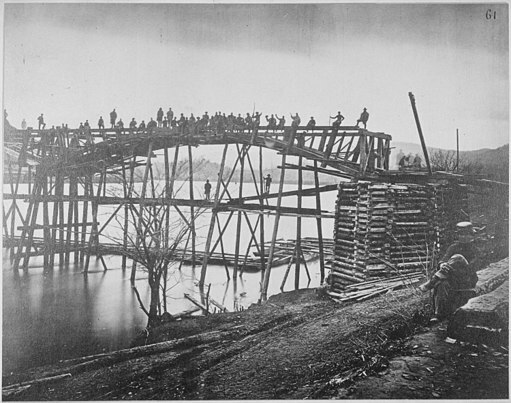 The soldier, who was actually a Union soldier in disguise, told Farquhar that any civilian caught interfering with the North's efforts would be hanged, and also mentioned how easy it would be to set the bridge on fire. In the third and last section, we are back at the scene of the hanging. It seems that Farquhar is awakened by the cold current of the river, having lost consciousness after the noose broke and he fell from the bridge. His executioners are firign at him from the bridge, he suffers a gunshot wound, comes up for air, dives back under, only to see a cannonball land within two yards. He thinks he's doomed, but then seems to be ejected from the river onto a bank, out of sight and firing range. But then he hears gunshots, escapes through the forest, taking backroads to return to his home. He seems to greet his wife, but then feels a sharp blow on his neck, sees a blinking white light, and all falls to silence and darkness. The end of the story reveals that Farquhar's broken body is still swinging from the side of Owl Creek Bridge, where he died, after all. 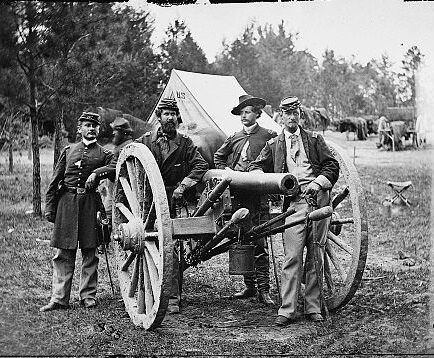 Civil War short stories genre, historic fiction in their realistic portrayal of actual events, soldiers, and battles. 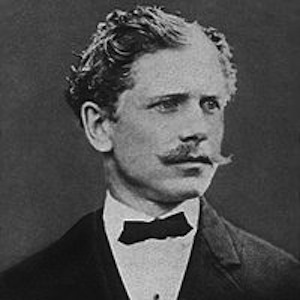 Since Bierce served in the War, he coupled his gifted writing abilities with his credible and dramatic stories that brought the complexities of war to life for his readers. Defenders - A person must be willing to defend his way of life, culture, and family when threatened by an enemy-- the question is: at what cost? Motion: Another prevailing theme Bierce uses to describe the river, Farquhar's emotions, and his lack of motion (bound to be hanged), and his sudden and fateful motion falling from the bridge after his neck snaps and he's dead. Finally, his vision of his own escape, swimming and diving in the river dodging gunshots, then movement towards the vision of his wife. Sound: Bierce describes the silence by amplifying certain sounds (like the ticking of Farquhar's watch), the raging river, while the soldiers, guns and cannon remain silent. Sound plays a role again at the end: his vision of the white light "blazes all about him with a sound like the shock of a cannon-- then all is darkness and silence!" Rules define actions: Soldiers adhere to the military's rules of conduct for hanging an enemy; the rules also prescribe silence in honor of Death. Farquahar perceives his own duty or "rules" for defending the Confederacy. To better understand the historic context of the events during the Civil War leading up to this story, read about the specific Northern Alabama Civil War battles, review maps, and reminiscences of daily life on a Southern plantation during the War. 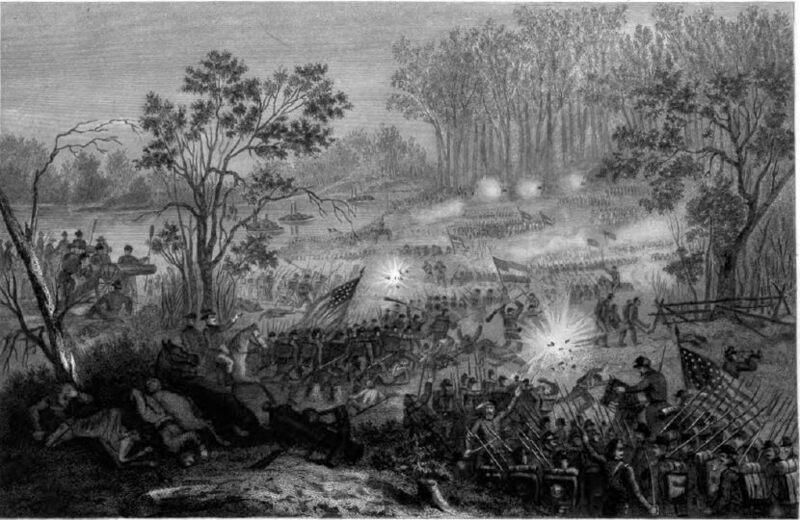 The Franklin-Nashville campaign occurred in 1864, led by General Robert S. Grander (US) and General John B. Hood (Confederates). 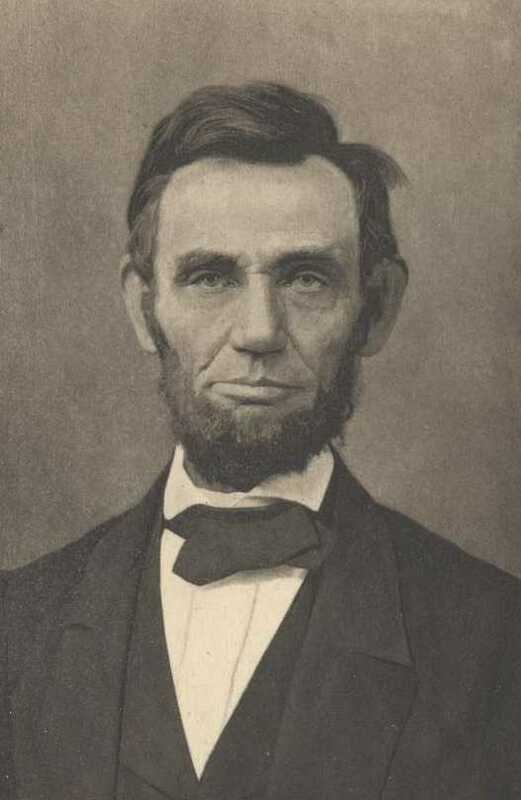 President Lincoln imposed the Lieber Code in April of 1863, which were instructions for how soldiers should conduct themselves in wartime, such as the ethical treatment of populations in occupied terrorities, prisoners of war, and the lawfulness of emancipating slaves. In Bierce's story, the Federal soldiers are complying with a strict code of conduct. 1. Ambrose Bierce was one of the only major author to see combat during the Civil War. He served in the Ninth Regiment, Indiana Volunteers. What evidence can you provide that "he knows what he is talking about" in his telling of the story? 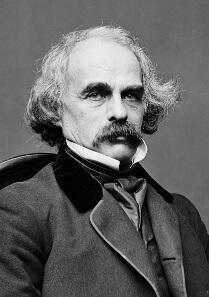 Do you detect any bias in his writing, does his favor the Union over the Confederates, or is he seemingly impartial? 2. How does Bierce's methodic writing style of providing detailed descriptions in a quiet, slow, suspenseful manner affect the reader? Provide examples (like how he describes the rifles in "support" position, or the sound of his own watch ticking). 3. Describe Bierce's literary technique using foreshadowing and its effect of fully engaging his reader. 4. Explain the metaphor that "Death is a dignitary" in the first paragraph. 6. What do the bridge and the fast-moving water below represent? Explain the symbolic meaning of the loose boards and "unsteady footing." 7. Explain what Farquhar's wife represents? Why does he reject what she represents in his reckless mission to suppress Union forces? 8. Do we know whether Farquhar actually burned the bridge? Though we are told the Union scout planted the idea in Farquhar's mind to burn the bridge and then must have reported Farquar's betrayal which resulted in his sentence to be hanged, how do we know he actually committed the crime and deserves to be hanged? 9. Describe the transcendental experience of Farquhar willing the noose to give way and envisioning his escape into the arms of his wife and safety, then the "white light" rather than the reality of his corpse's broken bones of death. 10. Tell the story using the same sequence of events, but from the Union Captain's point of view. 11. Describe the symbolism of the "pendulum" (first paragraph of section III) and how it relates to time, the hanging, his emotions. 12. The Federal troops were required to comply with the Liber Code, instructions for armies in the field, imposed by President Lincoln in 1863. Discuss the soldiers' conduct described in the story. Did they follow the letter of the Lieber Code? Essay Question #1: Research the term "Copperhead" (used to describe a Northern Democrat who opposed fighting in the Civil War and demanded immediate peace). The modern equivalent is called "conscientious objector." 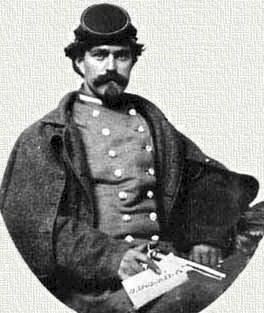 Did Farquhar's actions serve the Confederates in the same way, more, or less, than had he enlisted and fought as a soldier? Does Bierce offer any clues as to why Farquhar didn't serve as a soldier? Essay Question #2: Compare this story to another Civil War Story, either by Ambrose Bierce or a different author. Suggestion: The Story of a Conscience . Compare their themes, tone, literary techniques, and context within the Civil War genre. Lesson Plan for An Occurence at Owl Creek Bridge: Heroes or Cowards?